Actors sure love their overblown dramatic death scenes in the movies don't they? But why should they have all the fun? 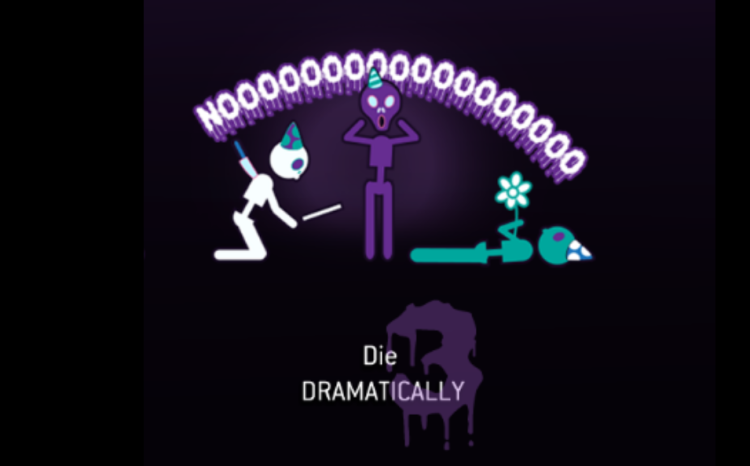 In Death Party you and your friends take turns obeying frankly bizarre instructions and acting out tear jerking dramatic dying moments. Created by Chris Gregan and Sara Mena with music by Jason Farrell for the Dublin GameCraft 5 game jam. Play it now for free in any PC / Mac web browser. The Android version also has built in photo and video support. Download the Android .apk file here.